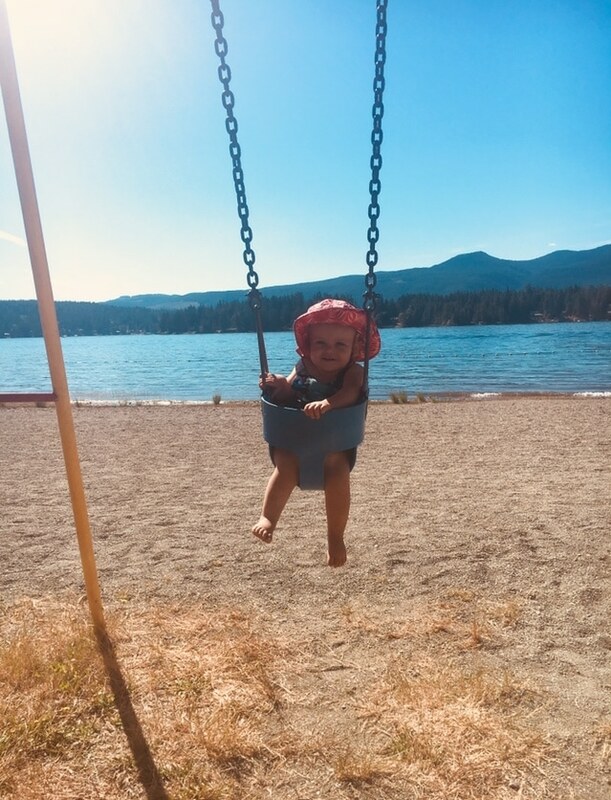 Mini vacations are fun to do, which is why we decided to get away to Port Alberni and Sproat Lake with a stop in Qualicum Beach on Vancouver Island. Our goal was to do some hiking, find neat places to eat, and check out some campsites. From North Vancouver, we packed and prepped the essentials, which meant tent, sleeping bags, camping cooking gear and enough entertainment to keep our 8 year old busy in the back seat during our commute. As the summer ends, we make sure our camping gear is only the best, so a stop at Mountain Equipment Co-op is a must before we start our trip. Everything from camping plates to hiking shoes can be found at MEC. Now, we’re off! A drive westbound on Highway 1 brought us to the Horseshoe Bay BC ferry terminal with no lineup and a quick zip onto the ferry (a rare thing!). 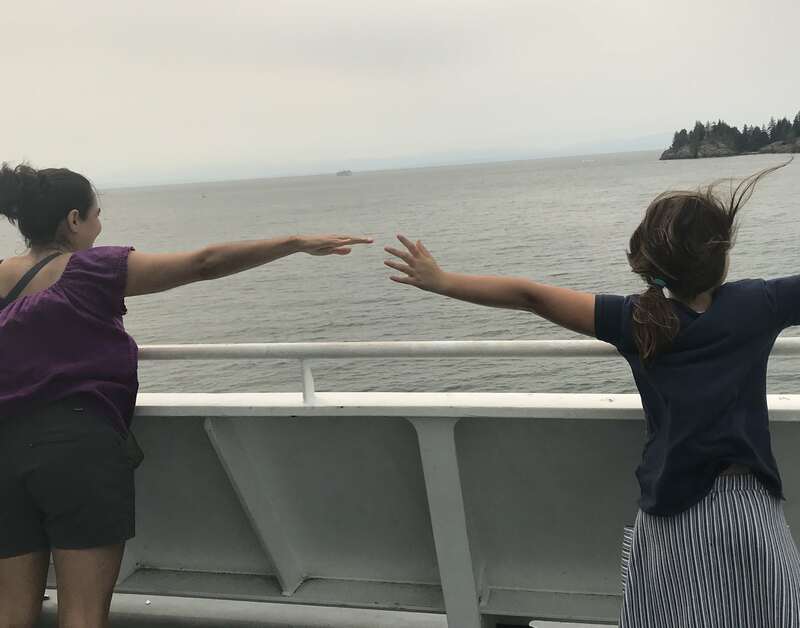 One of our favourite things to do is mess our hair on the upper windy deck while we keep an eye out for killer whales. No luck this time but we know they swim the waters of the Strait of Georgia and are often seen by ferry passengers. 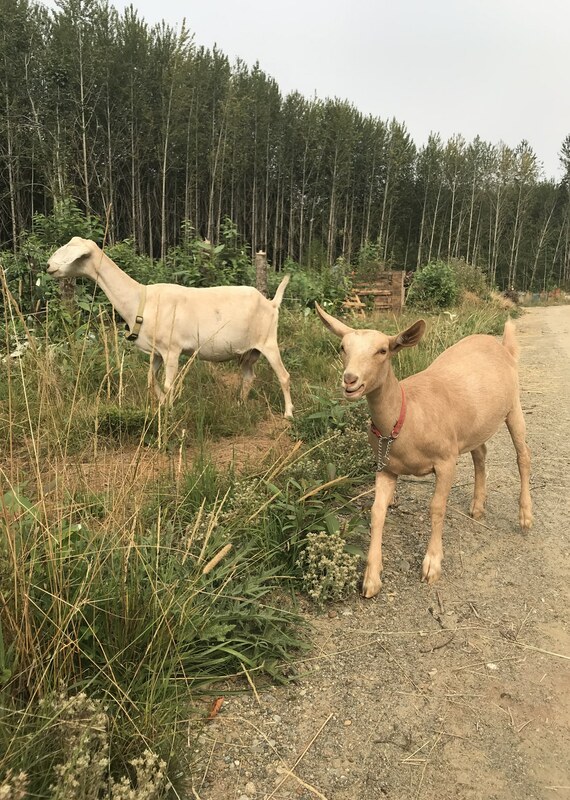 Off the ferry and on our way to Qualicum Beach where we stopped at Mack’s Boondock Ranch. What an awesome experience this was! 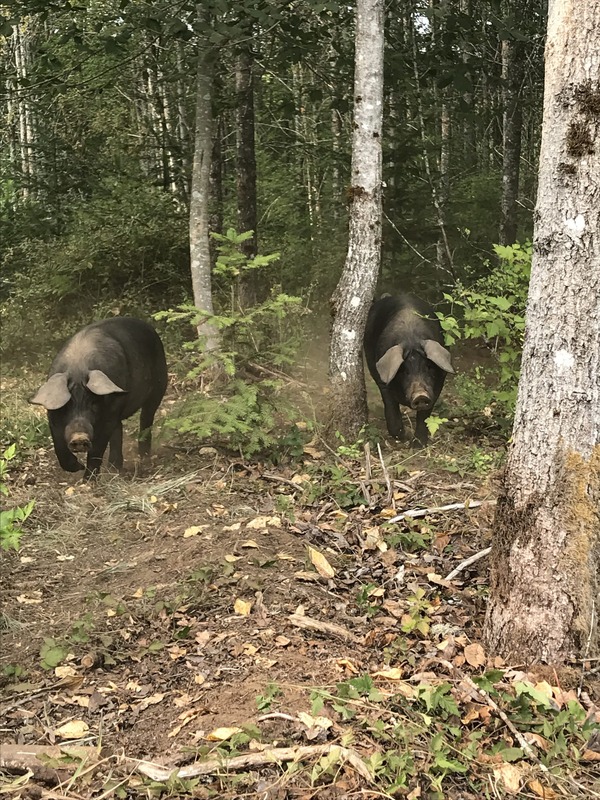 While walking the ranch, we were followed by a couple of goats, saw deer grazing, some chickens and ducks walking about, and pigs! Smart and friendly, it was the first time we pet a pig! Our host, Joanna, was kind to give us a tour and offer some homemade raspberry jam while telling us about the history of the cotton plantation that is now her ranch. 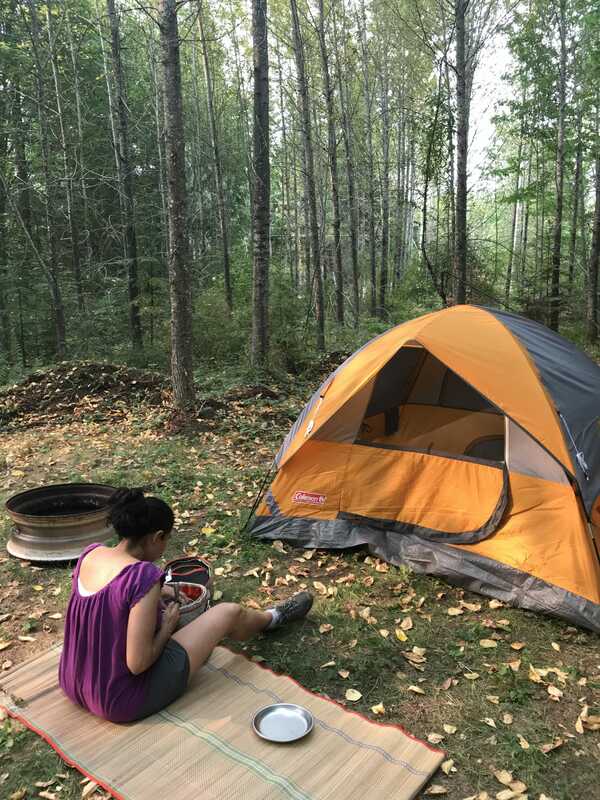 We set up tent at Mack’s Boondock Ranch, had lunch and relaxed under trees from an old growth plantation forest before we packed up and continued our drive to Port Alberni. 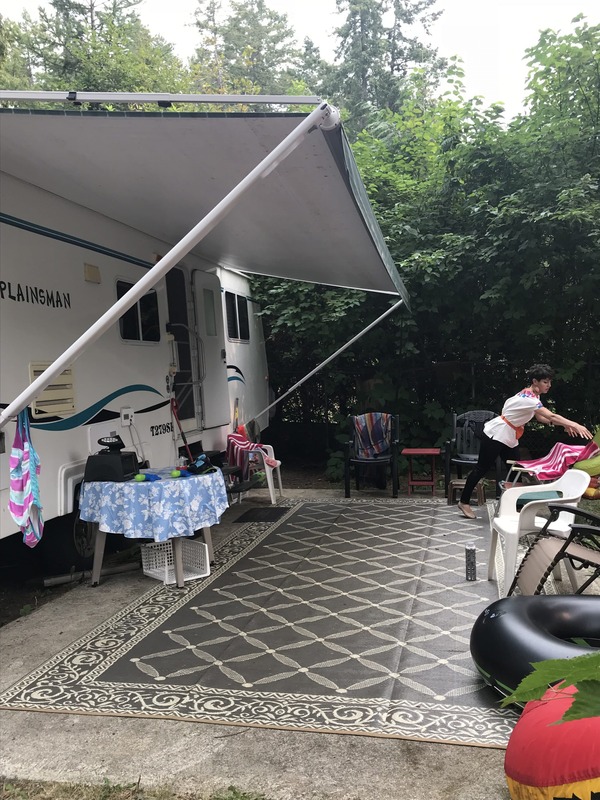 Forty-five minutes later, we arrived to Sproat Lake and Tall Timbers Holiday Park trailer park to swap our tent camping for RV camping. Lake swimming, a round of mini golf, and a beautiful sunset were just a few of the highlights that kept us busy. While visiting family and friends in the area, we met baby June for the first time and went on a easy short hike to the The Hole in the Wall, which is exactly as the name describes it. 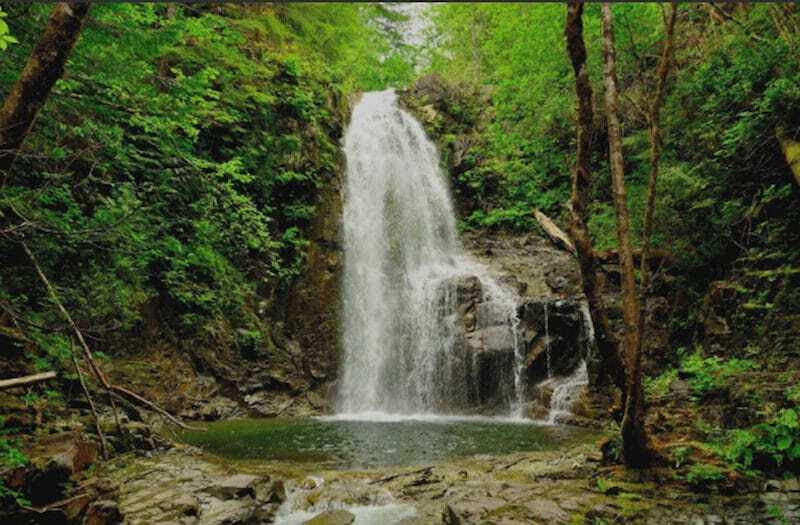 We had enough time to also make it to the breathtaking Weiner Falls. Just the fresh smell of rainforest is an attraction for any tourist. 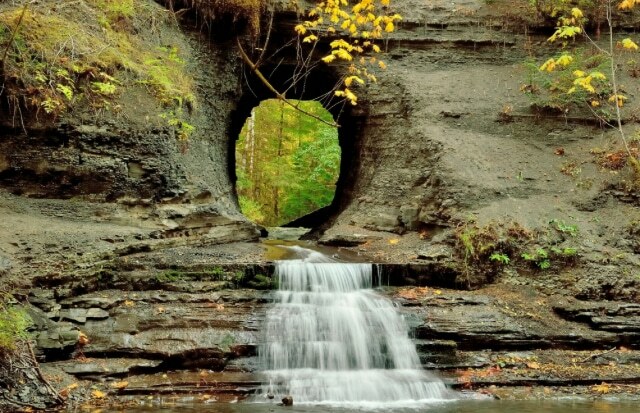 It’s a view that is synonymous with Vancouver Island and the west coast. It was too cold for us to jump in the pool at the base of the waterfall, but definitely a future must-do. When the time came to stock up on snacks, we made our trips into quaint shops in Port Alberni that we deemed our favourite. 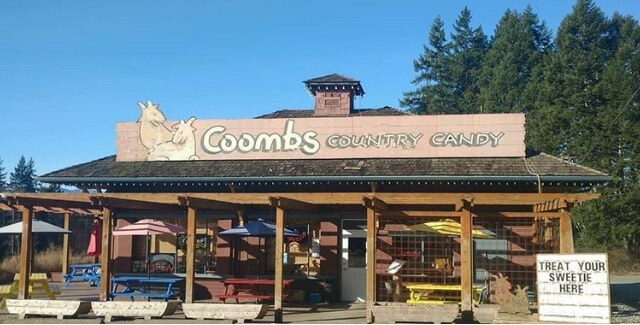 Coombs Country Candy allowed us to fill up on what we thought we deserved after our hike: homemade ice cream, gelato, candy, chocolate and fudge. 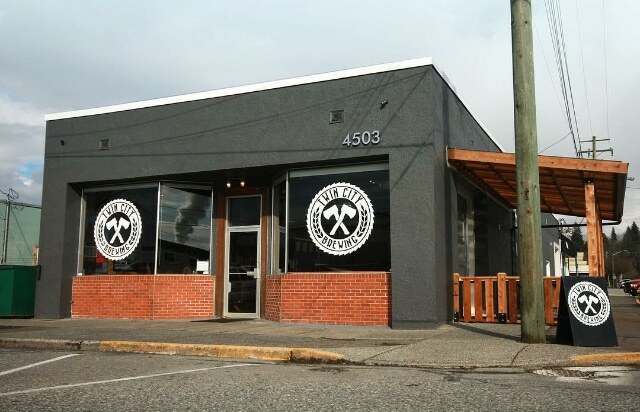 Before heading back to Sproat Lake, we tried some amazing pretzels at the Twin City Brewery where, apparently, their pizza is outstanding, too. 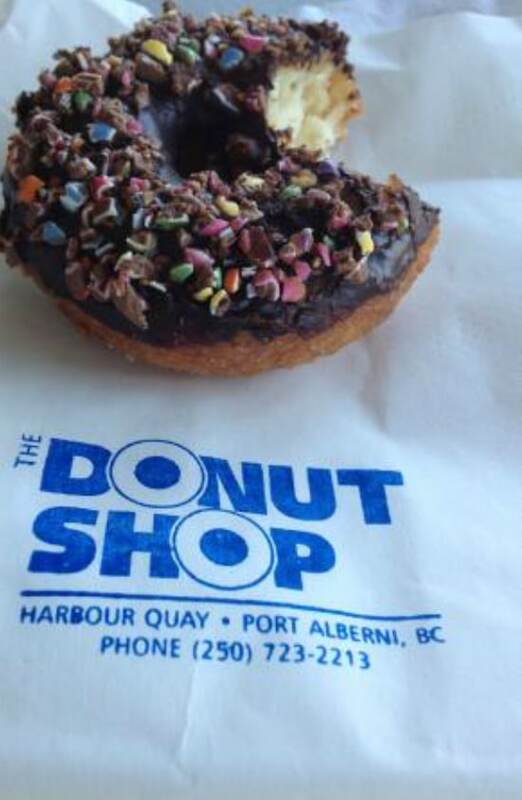 Our return to Vancouver had to start with a stop at Port Alberni’s The Donut Shop. The photo of the huge delight says it all, and it was enough to keep us full as we waited for 4 hours to board the ferry back to Horsehoe Bay! It’s usual to have long ferry waits at the end of a weekend, but it was especially difficult because the smoke from BC’s forest fires was thick, with some bits of ash even falling on us. Just another reminder of the fragility of our earth and our responsibilities to reduce harm to it. Enjoying our nature is a beautiful experience and we want to keep it that way. 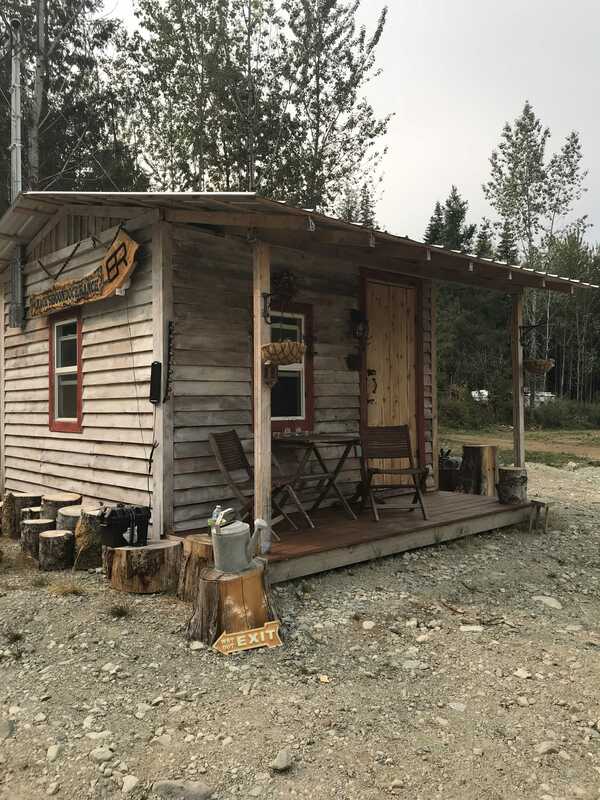 Article by Nora Lozano, co-founder of Campertunity, an online peer-to-peer marketplace where landowners can list their land for campers to book for short term stay.